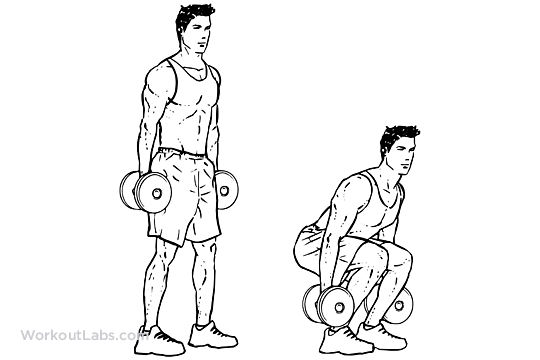 With your feet shoulder-width apart, stand with dumbbells as your sides with your palms facing each other. Keeping your back straight and facing forward, squat down until your thighs are parallel to the floor. Pushing up from your heels, raise back up to starting position and repeat.